Integrating ProProfs with your Kentico CMS based website enables you to provide excellent support to your customers via live chat. Our live chat's exciting features and user-friendly functionality helps you discover more possibilities for customer delight. Step2. 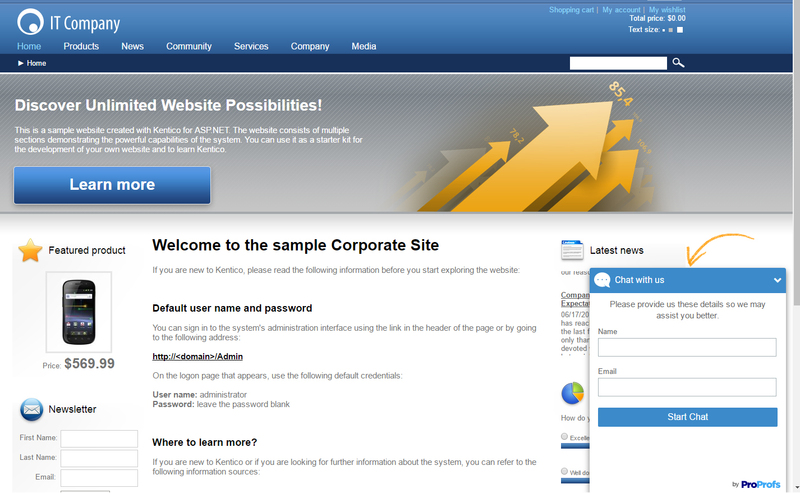 Now, Login to your Kentico CMS admin panel. Step 4. Paste ProProfs Chat as shown in the image below and click on "Save". Step5. 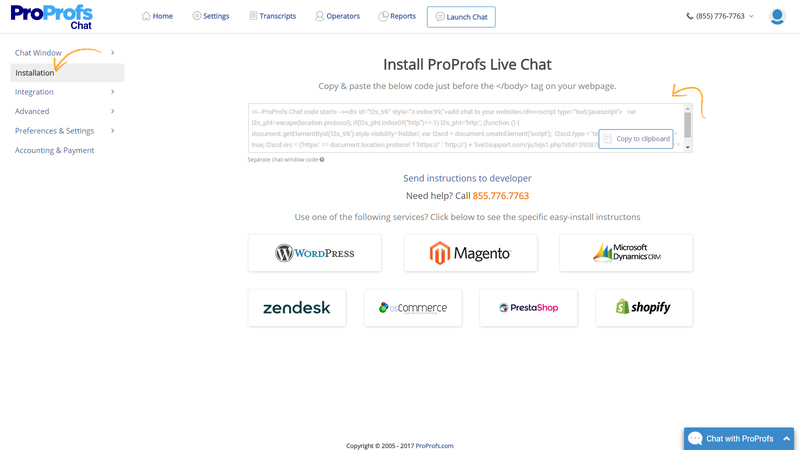 ProProfs Chat is now ready to delight customers on your Kentico website.